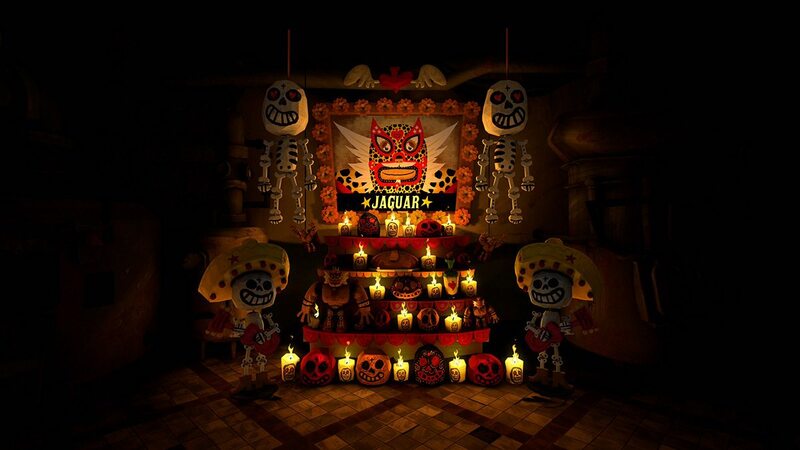 Jorge Gutierrez’s vr short film Son of Jaguar, from Google Spotlight Stories and Reel FX, is having its world premiere this week at Mexico’s Pixelatl Festival. The project showcases one of the many news ways that animated content is being made and consumed. 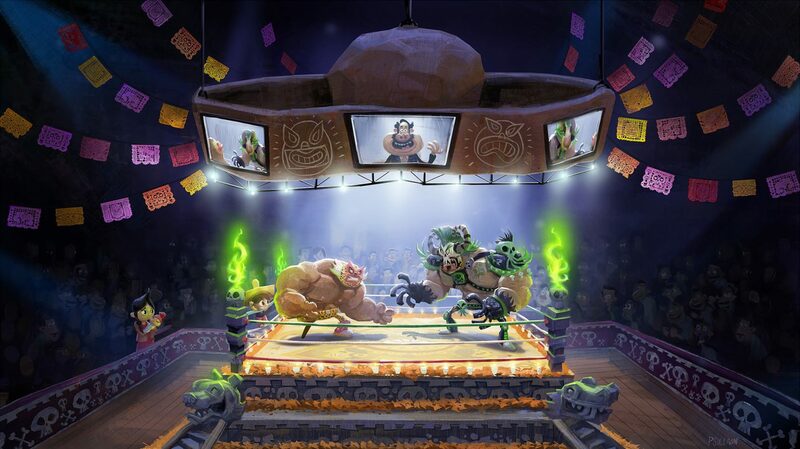 Gutierrez, most well-known for his film The Book of Life and the Nickelodeon series El Tigre: The Adventures of Manny Rivera, is the kind of director honest enough to admit that making a film for vr wasn’t easy, and in fact required a whole new level of thinking in terms of his approach to directing. 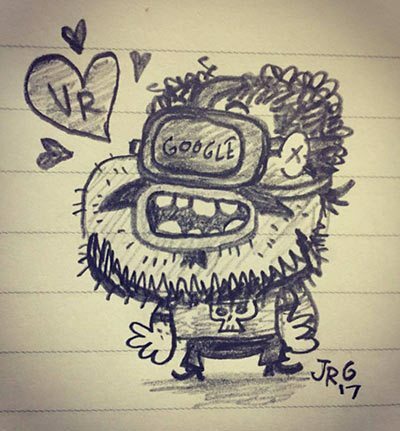 Cartoon Brew caught up with Gutierrez at SIGGRAPH, where Son of Jaguar was playing at the special VR Theater set up just for that conference. 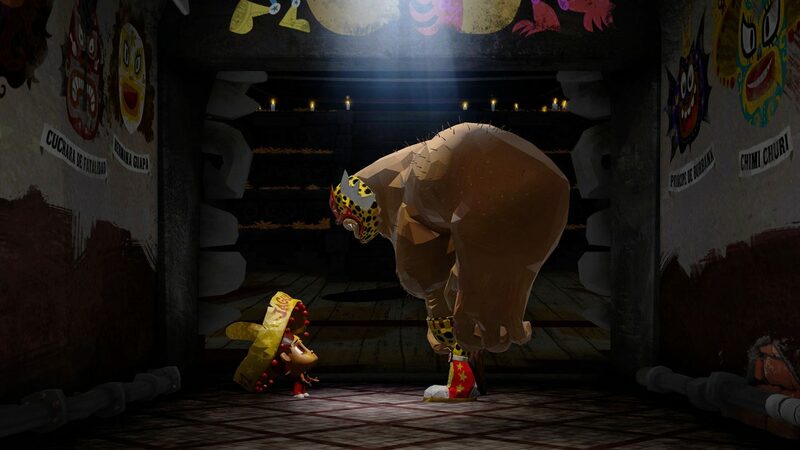 The director, who has also just been announced as the helmer of a Lego movie spin-off for Warner Bros. called The Billion Brick Race, shared what some of the toughest technical challenges were in bringing Son of Jaguar to vr headsets. 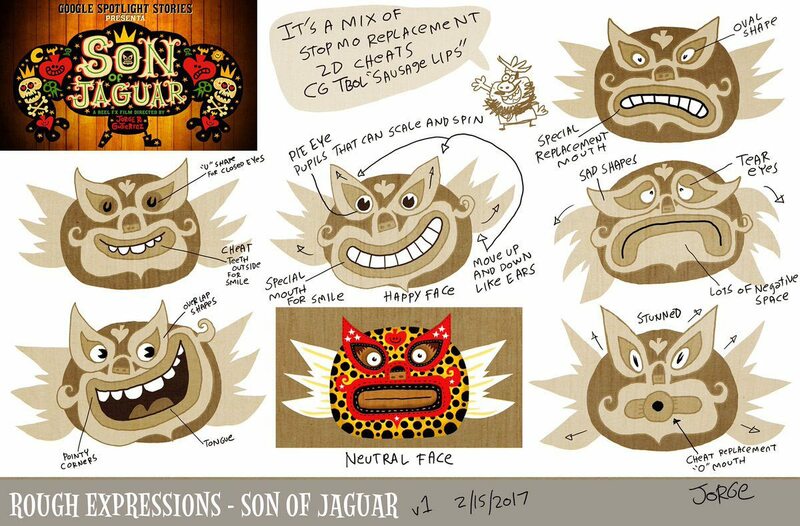 Cartoon Brew: What was the hardest thing about making Son of Jaguar? 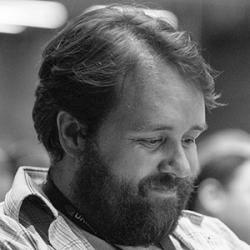 Jorge Gutierrez: Well, from the beginning, I’ve gotta tell you, real-time rendering is horrible because I’m spoiled by being able to render things for television or movies. And here, everything has to be rendered by a phone in real-time. So that made it incredibly hard. And then the other thing was, we get spoiled in cinema with framing and cutting. And so, I realize not only will it be harder to make this new kind of film for vr, but all those tricks and all those things that you spent your whole life trying to learn, now you can’t use any of that stuff. 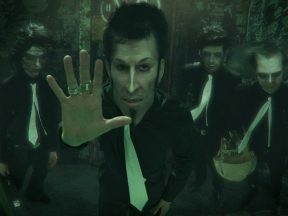 A still from the short film. How did that impact your actual approach to making the film? Jorge Gutierrez: I was like, ‘Wait a second. What? You’re gonna chop off my legs and I have to run? What is this thing?’ And so, then you start to hear, ‘Well, the positives are that the viewer is in an immersive space; you get to basically control everything they see. You’re not gonna control when they see it, but you get to control what they see.’ And for me, the biggest a-ha moment happened when I went, ‘Okay, well, how did we tell stories before cinema?’ You went to a play. You sat down. You saw things happen in front of you. If you didn’t look, it’s on you. And so instead of looking at the future, I looked at the past. So I treated it like it was a play. And what’s one of the ancient things on a stage? Mexican wrestling, right? The greatest of battles between good and evil and it was inspired by people coming together to watch these mighty warriors clash. So, it all kind of fit in. I’m telling you, instead of looking to the future, it’s all about looking to the past. Now, obviously you can make decisions about framing with storyboards in tradition, linear narratives. But because you could move the camera anywhere for framing, was that actually great here, or was it a hindrance? Jorge Gutierrez: Honestly, it was horrible. It was horrible to give up. You know, everybody in animation, we’re control freaks. And we get to control everything. Here we were giving that up. The way to frame, for us, was people would look at the camera – we’ll look at the action, so we need to give them enough signifiers with visuals and sounds and acting so that they look where you want. And that’s as close as you’re gonna get to a frame. But with that said, people would still look away. So, you’re at the mercy of the audience. I’ve never loved and hated the audience more than with this. “Son of Jaguar” rough expressions. What else was different? What about building the characters, in terms of models and what you could do with the detail of the characters? 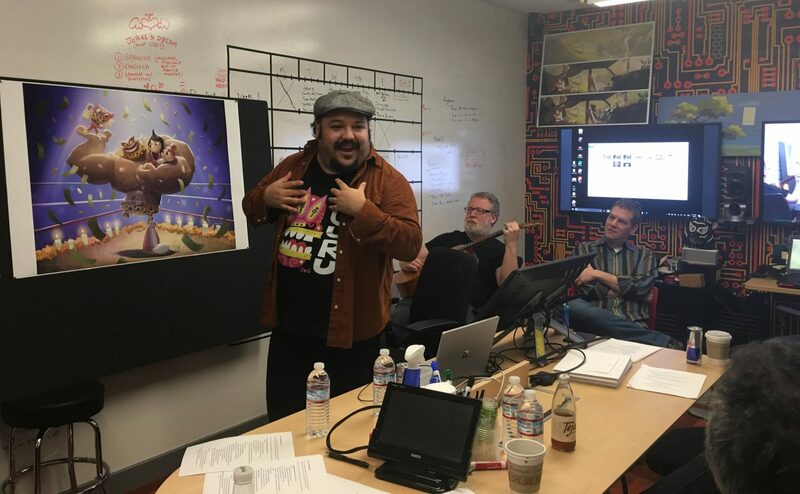 Jorge Gutierrez: Well, like I mentioned earlier, real-time rendering had a lot of limitations and so we had to be really smart about how do these characters move, how are they known? 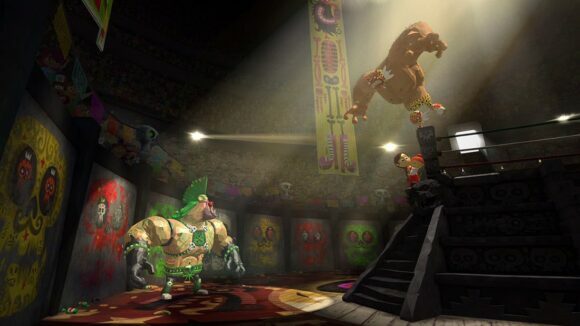 Already, Mexican wrestling, they’re wearing masks, so you’re asking the audience to take a giant leap of faith in the way these characters are gonna act. The big thing for us was, just like The Book of Life, let’s take these limitations and turn them into our strengths. So, if we embrace a polygon and we make that part of the story, and we basically say, ‘These guys are so poor they can’t afford smooth surfaces.’ The polygons are part of their world, and their environments are all polygons because they’re poor, it gives you a story. It gives you a feeling about who these guys are. Obviously, as the film moves forward, you start to see different things happen but the environments were all about the story. I’m born in 1975 so I experienced arcades in the late 90s. And I loved fighting games. One of the big inspirations was, in these games. I wanted to know what happens to the fighters when they lose, when they go home to their families? What happens after? I want to follow that. So that was a big inspiration for this. 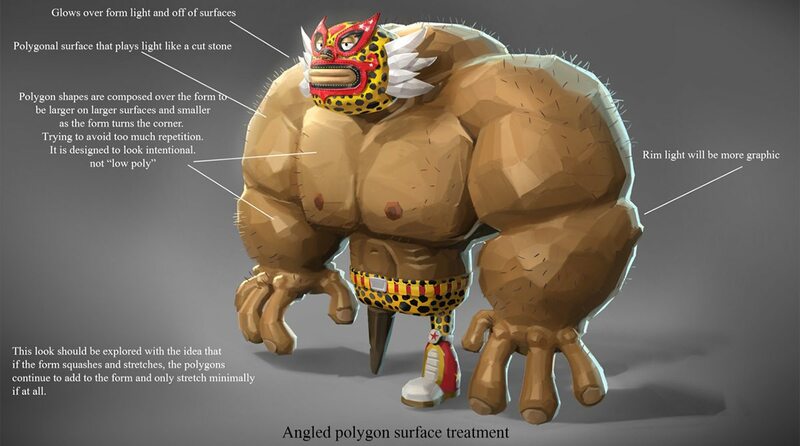 A breakdown of the polygonal design for the central character in the short. Watching a vr film, the viewer is able to look around and finds some detail to narrow in on but then might miss something from another view. How do you direct the viewer? Do you need to direct the viewer? Jorge Gutierrez: The way we thought about it was, even if you look away, you’re gonna hear the story. When you first go through a new environment, the first thing you’re gonna do is you’re gonna be looking around. So we made sure nothing visually important was happening in front of you, anytime you enter a new environment. So, we started learning what people did and just built around those things. Because, yeah, the moment people walk into the arena, they’re not looking at the wrestler. They start looking around at everybody, so the wrestler didn’t do anything important because we knew people would look around. 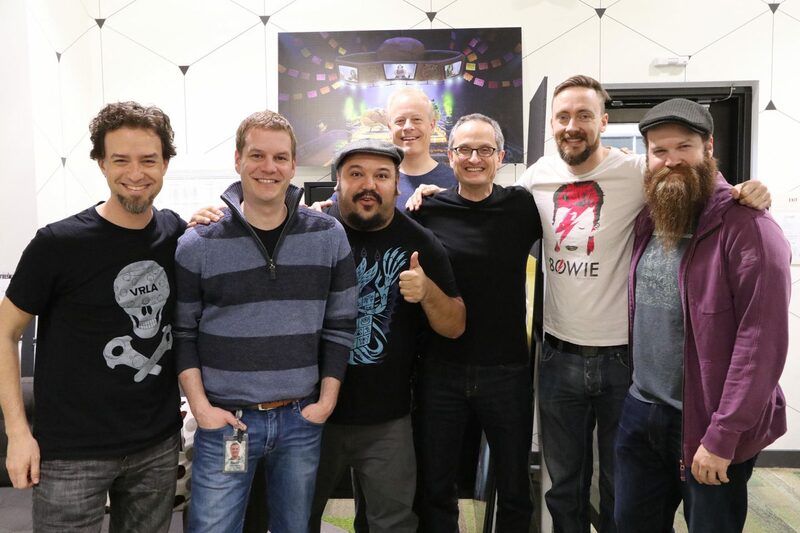 L to R: Cassidy Curtis, technical art lead, Google Spotlight Stories; David Eisenmann, producer; Jorge Gutierrez; Kirk Bodyfelt, producer, Reel FX; Jan Pinkava, creative director, Google Spotlight Stories; Paul Sullivan, production designer; John Anderholm technical supervisor, Reel FX. 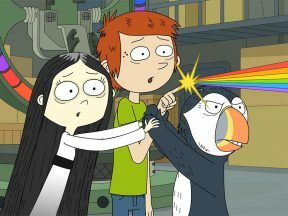 How did you and Reel FX review work in animation and staging? Jorge Gutierrez: Well, Google Spotlight Stories has done enough of these that they would tell me what does work and what doesn’t work. So I wrote a script and I tried writing in all the interactive stuff, then threw that away. We did the storyboards, we did an animatic, and at some point you go, ‘Well, that doesn’t help us.’ You just have to get on the device. [Traditionally], we’re using animation through layers. So, the reels are cut, then you can do layout, then you can do animation, then lighting. Here it’s all happening together. It’s like building the lasagna all at once. You’re not doing the layers. So it’s really tough. So did you do reviews wearing a headset, or some other way? Jorge Gutierrez: We would wear the headset or we’d watch it on a big screen. I’d give notes and a lot of it was, ‘Hey, this looks good right now, let’s wait until we light it to see if it’ll hold up.’ Same thing with animation. Whenever we do 2D reviews, we go, ‘Okay, well, that looks good from this angle, let’s take it downstairs to the virtual space and see it from every angle ’cause you can’t cheat.’ Everything has to work from every angle. The wrestling match takes place in and out of the ring. It feels like in a film about wrestling, you could easily have gone with some crazy camera moves. But that doesn’t necessarily translate to vr, and of course some people get motion sickness. How did you deal with that in Son of Jaguar? Jorge Gutierrez: We did, by the way. We did go a little crazy. But to stop you feeling queasy, we did some tricks. Like when you look up when the guy is coming all the way from the top and jumping down, we actually move things. So when you look down, you’re in a whole different place, but you don’t notice. What we discovered, which I actually think is quite brilliant, is when you’re in the ring, and he’s being thrown in the air, we notice that the majority of people are looking up. At that moment, we instantly move you to another location and then you’re there and you’re standing and you go, ‘Oh wait a minute, I’m somewhere else.’ And then he’d land on the ground, and it was a really good trick. It’s the same things with the cuts. The guy gets thrown, and 99 per cent of the people looks at the guy being thrown and that’s when we cut and you see a different shot, so you aren’t even thinking about it. Still from the final short. Finally, since the viewer can look around at different things, did you add any Easter eggs? Jorge Gutierrez: Yes. They’re fun. I’ll tell you two. For Book of Life fans, Manolo and Maria are in the audience. 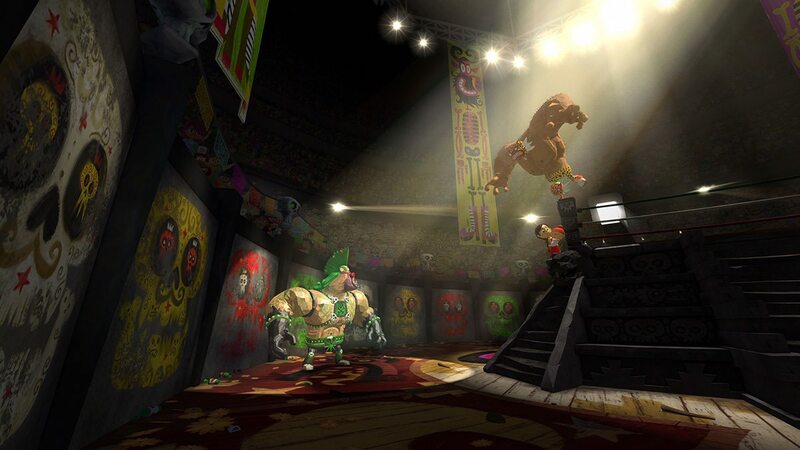 And for El Tigre fans, El Tigre and his father are in the wall of wrestlers. Concept painting by Paul Sullivan. L to R: Jorge Gutierrez; Scot Stafford, creative director, music & sound; David Eisenmann, producer. 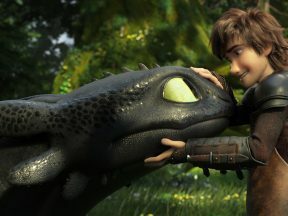 Having been at the helm of all three “How to Train Your Dragon” films, DeBlois has witnessed major changes in editorial processes, effects, and rendering. The Dutch filmmaker Rosto talks about reaching the end of his Thee Wreckers Tetralogy, a personal fantasia of visuals and audio that’s quite unlike anything else. 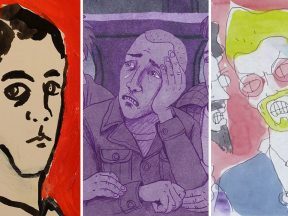 For the first time this century, all the BAFTA short animation nominees are hand-drawn films. We explore the visual development of each film.